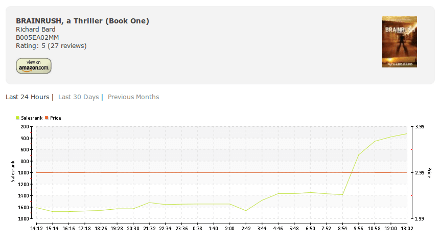 Welcome to eBookTracker, the FREE tool that provides both real-time and historical Amazon sales rank and pricing data for Kindle books! 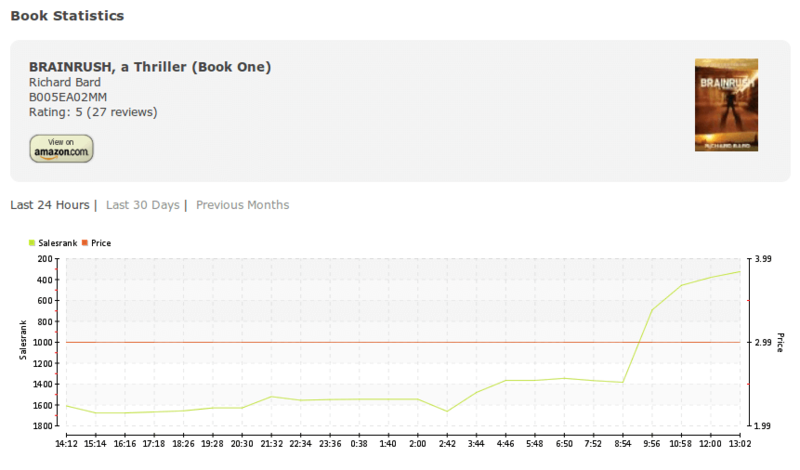 Power Readers: set up email alerts so you are the first to know when that Kindle book you've been wanting is on sale! Follow your favorite authors and books, see the impact of your reviews and book blog posts. Authors & Publishers: see the impact of marketing efforts and price changes on your books' sales ranks and pricing, know right away when sales start to flag on one of your titles, and see how your books' rank and pricing data compare to those of your competitors! 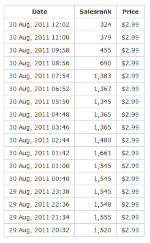 Here's a sample of eBookTracker data, pulled live from a real member account. Sign up today and start your own collection of tracked books!